After months of refurbishment work the fantastic results can be seen by all in its prominent position on the Bailey Head. Listed building consent was granted to restore the building to its former glory. 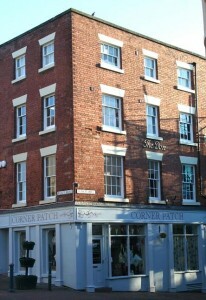 The first, second the third floor sash windows were all restored to their original design and there is a new ‘Victorian Style’ shop front to reflect the buildings original appearance. 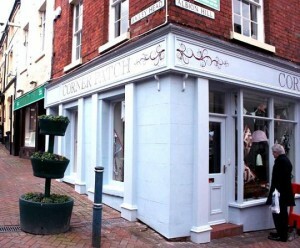 The new retail unit on the ground floor and first floor offices have been leased to Shropshire County Council. The ground floor shop showcases the talents of adults with learning disabilities. 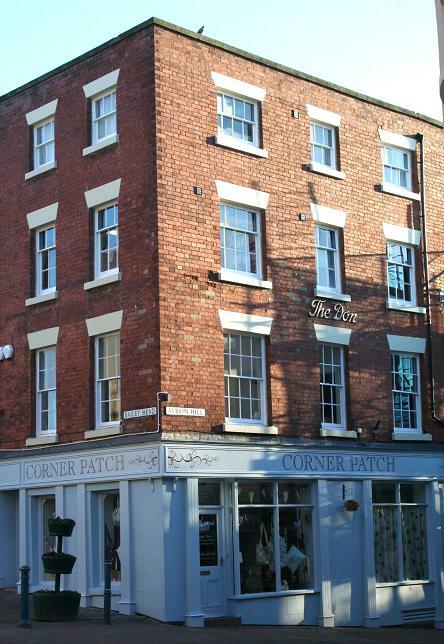 The shop, called Corner Patch, opened in 2011 and sells handmade products, such as textiles, handbags and bespoke iron wrought gifts, made by people who use Shropshire Council’s day care services. The Bailey Head, is one of the most historically important locations in Oswestry and the refurbishment of this building will hopefully be the start of regenerating the town centre. G C Construction have retained the second floor as their offices as we feel it is important to retain a prominent presence in the town centre as all of our main developments have been in the Oswestry area. We continue to look at new schemes in the area and ask anyone with plots of land to sell to contact Head Office.